Happy Saturday! 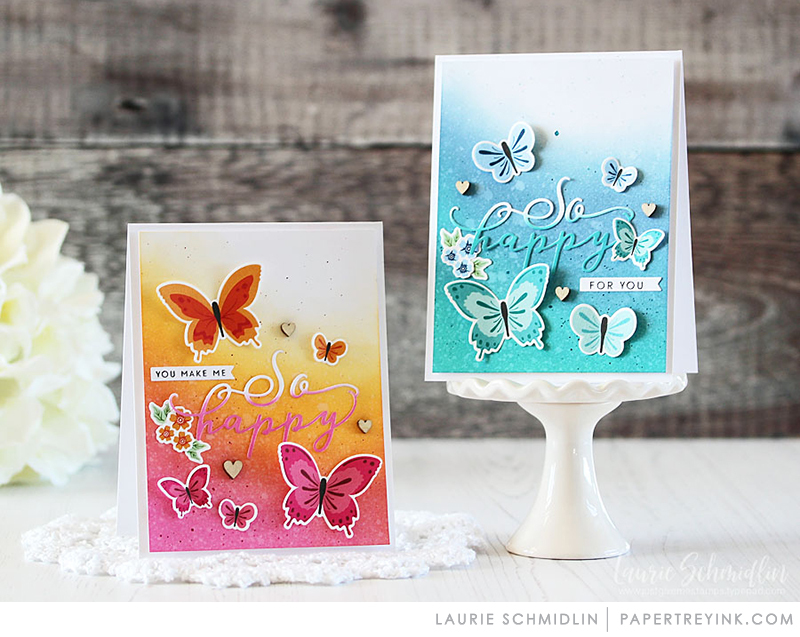 The weather should be warming up soon, so let’s create with some butterflies. 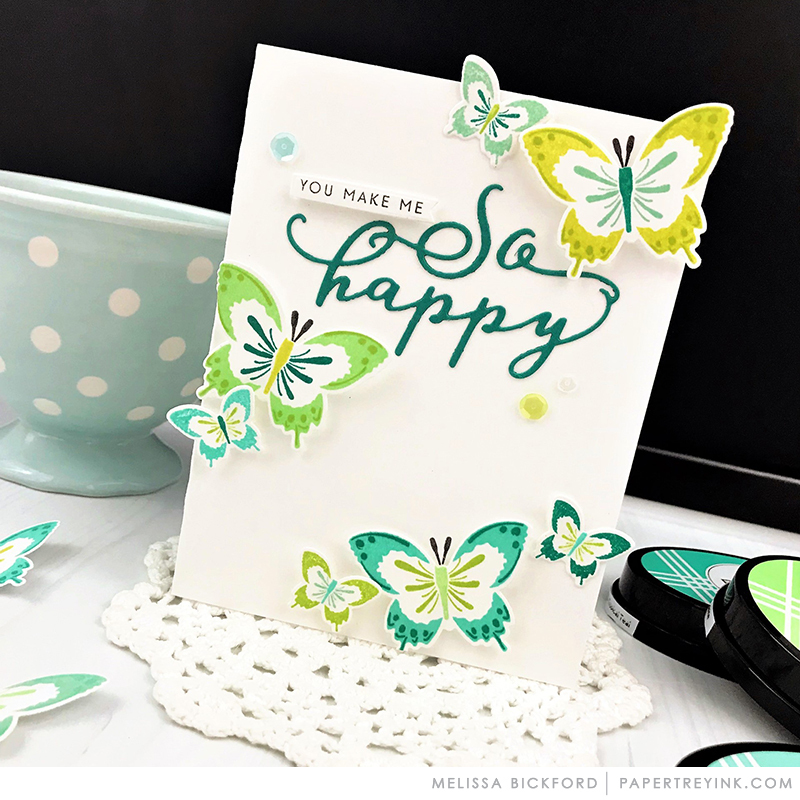 Butterflies represent change and we are welcoming the upcoming spring season change where we see butterflies fluttering their wings. We hope you will join us because we have some great new projects to share for our Saturday Showcase featuring Color Pop Butterflies. CLICK HERE to visit Kelly’s blog to see more! Great projects from everyone – this is such a beautiful little kit! Wow! What an amazingly fresh look at this beautiful kit! I’m loving the new inspiration, just in time for Spring! Such pretty butterflies. I’m ready for Spring! Love the cards. This looks amazing! Have I missed something, or is this kit not yet available to order? I can’t find these new products anywhere on the PTI website. All the projects are so very lovely, fresh and happy!